Raid on the China Coast depicts Lady Lil of the Air Apaches 345th Bomb Group, 498th Bomb Squadron. 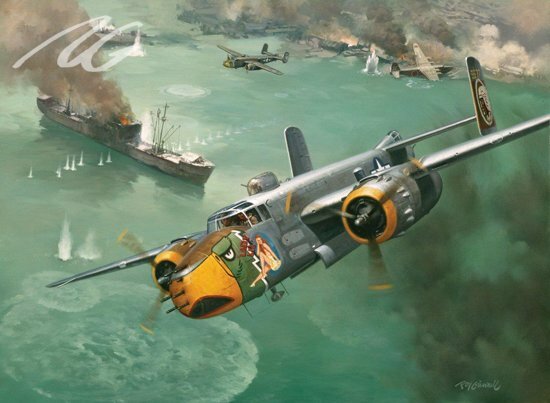 A B-25 is attacking Japanese shipping off the coast of China, April 1945. Pilot: Lt. Albert J. Beiga. The Raid was between Amoy and Swatow, west of Formosa.